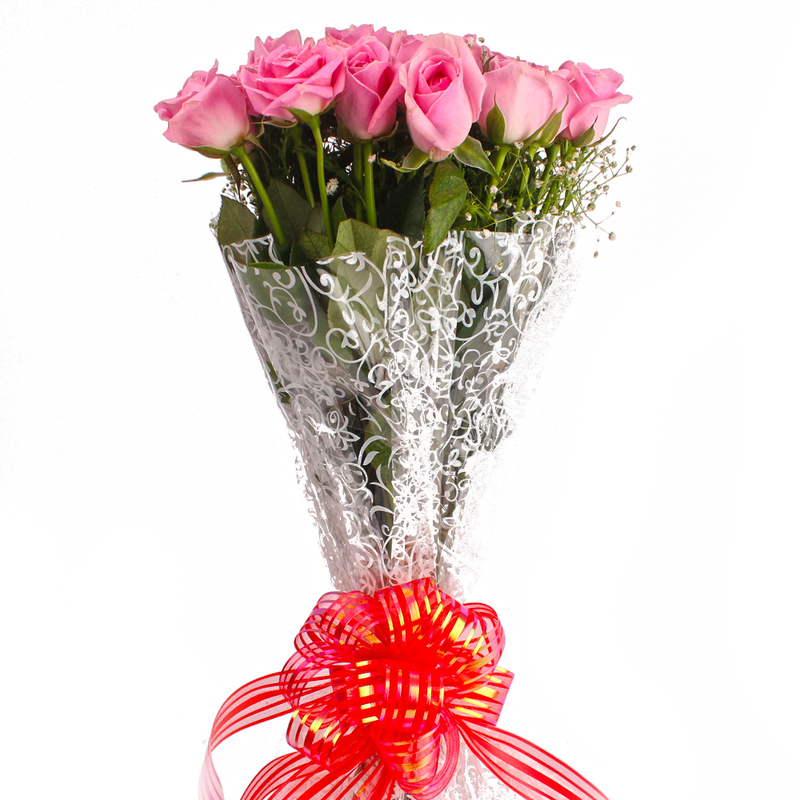 Product Consist :25 Pink Roses with green fillers in Cellophane Wrapping with Ribbon Bow on it. 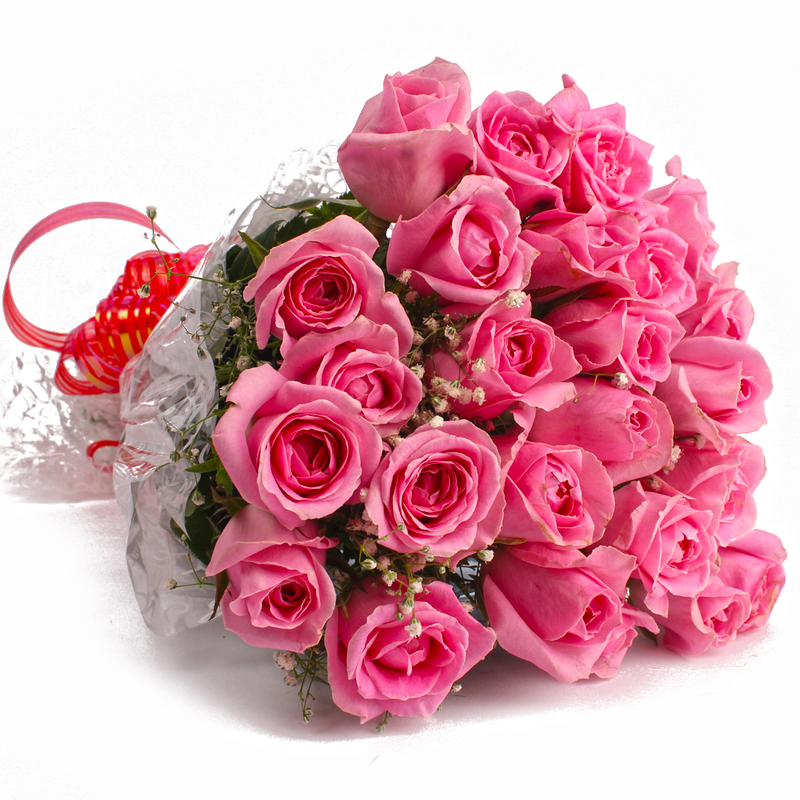 If your better halfs favorite color is pink, then this bouquet of pink roses is a good idea to gift her to delight her with. 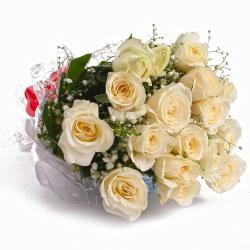 The flowers are fresh and appear quaint and appealing. 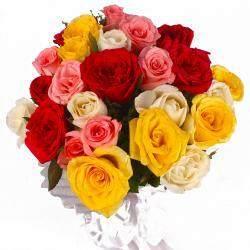 They are wrapped in cellophane so that they maintain their arranged. A bow in matching ribbon has been tied around them to hold them together. 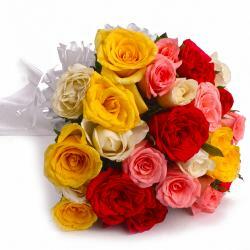 The bunch is a great gift for Birthday, Anniversary, Corporate Gifting, Dhanteras, Eid-Al-Adha, Independence Day even. 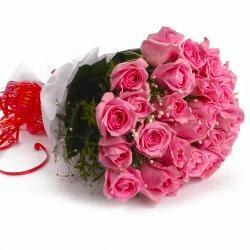 The bouquet contains : 25 Pink Roses with green fillers in Cellophane Wrapping with Ribbon Bow on it.